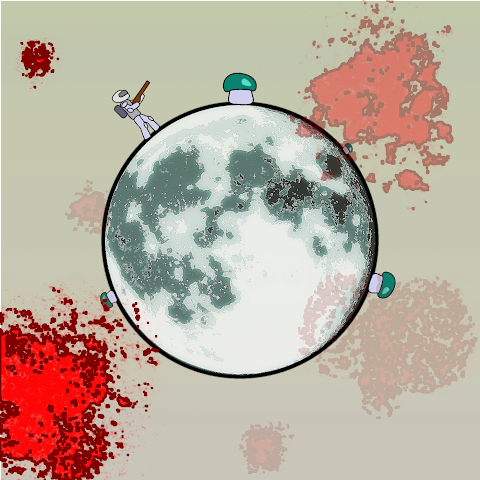 Game about mushroom picking on the Moon. Some people (actually just one person) have difficulties of running this game with provided pyglet package. You can try to remove it and use system default one. Thanks everybody for playing, rating and commenting for my game. My game's ranking is low. But it is good thing. I've learned important lesson because of that: gameplay is the king. During the development week I have spent most of the time drawing art. And somehow I can draw. I think it is the most beautiful thing I've ever done. But it does not matter. Because my game has almost no gameplay. Yes -- it has some interaction. But that is it. Because of bad priorities and because of fulltime job I had not enough time to do actual programming. So. In this gamejam I've forgot the most important rule of game creation. Gameplay goes first. Gameplay is the king. Other stuff can help gameplay -- but they are not as important as gameplay itself. Thanks Pyweek and all participants for teaching me this lesson. It was inside joke. Just for me. I thought it was funny. I still do and I do not care that actually it is not funny at all. P.S.S Sorry for broken English. So, I have finished this pyweek's game. Not very fancy one. It is mushroom hunting game. You go around moon and pick up mushrooms. They start flying up and You shoot them with shotgun. Makes perfect sense. The biggest problem I've met during this gamejam was me. I've decided to draw everything myself. And I've too much time on working with graphic. I am no artist. Period. I am programmer. So, something like 70% of time was spent on art and 30% on programming. Result? Result is that game does not have a lot of functionality (But astronaut has small fires coming from gist backpack and boots...). I have almost no time to do something. Around one hour. So, I have done some small tweaks and that is all. Biggest change: now shotgun actually shoots several bullets. Base mechanics is here. I've no idea how it is going to become a game. You know, like winning, losing an stuff. And it needs a lot of tweaking and fixing. 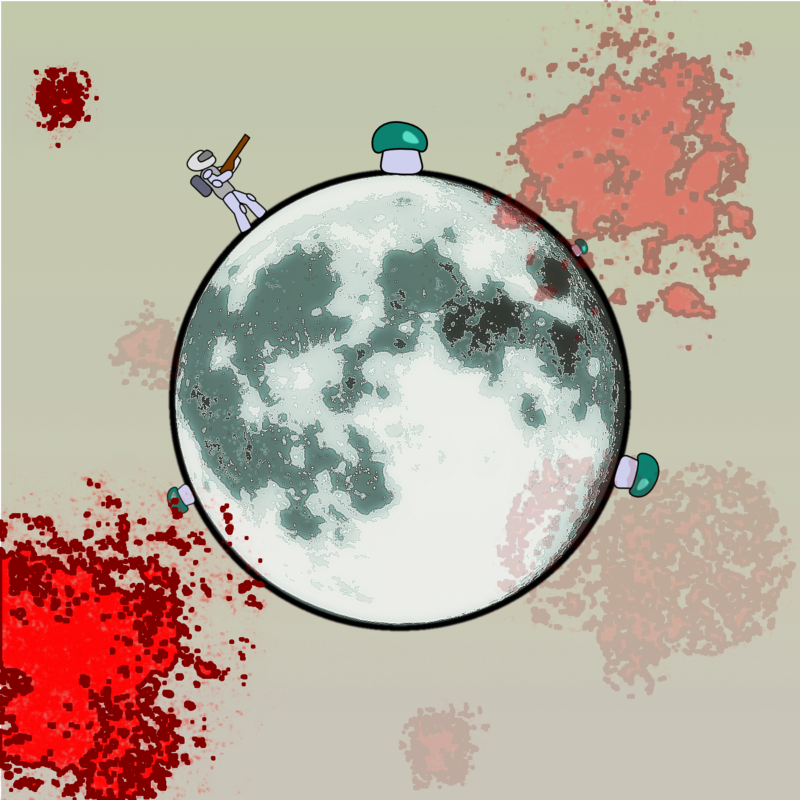 For example: collision detection changes, when mushroom starts flying; no shooting through moon; astronaut animation and thousand more. Finally, I have something interactive. You can move player around and pick up mushrooms.